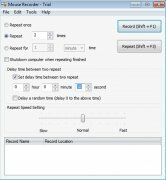 With Mouse Recorder you will be able to relieve the work you carry out with your mouse. On some occasions it can occur that certain actions carried out with the mouse are repeated over and over again. For example, it may be possible that you have to open a text document and configure its pages on several occasions. 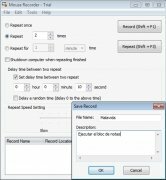 Thanks to Mouse recorder it will only be necessary to complete the action once and afterwards the program will do so for you. 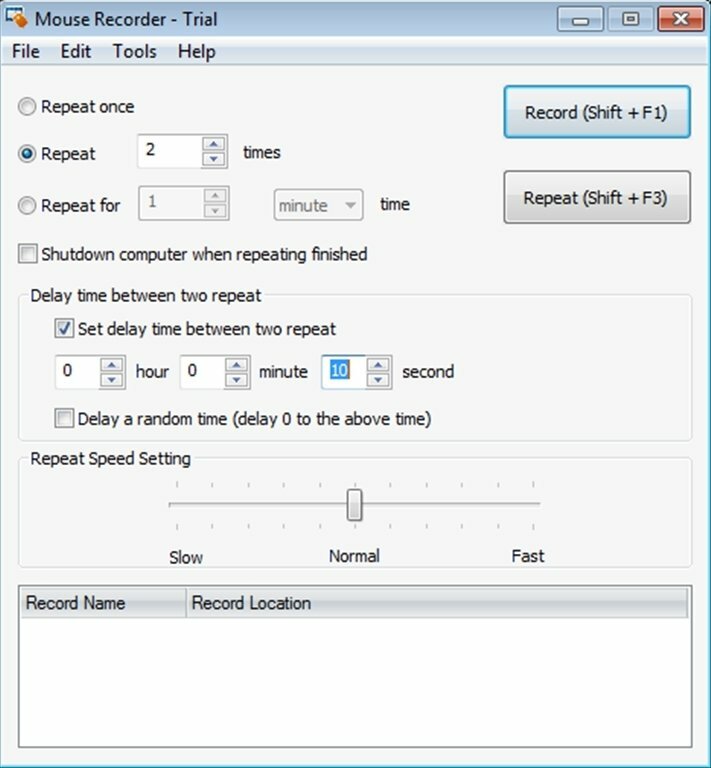 Mouse Recorder has a simple interface on which you will have to configure how you want to record and repeat the mouse actions. To start off your will have to decide how many times the action will be repeated, how often and at which speed. You will also be able to configure with which delay you want the recorded action to take place. Once you have decided everything, you will be able to start recording. 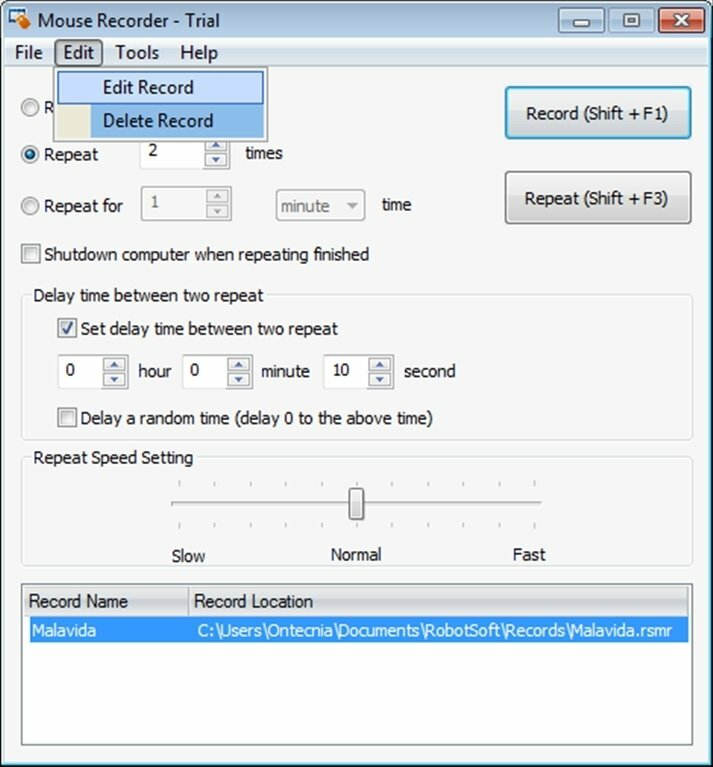 You will be able to click the Record button or use the Shift + F1 key shortcut. 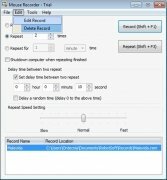 At that moment Mouse Recorder will disappear but will be recording everything that you do with the mouse. 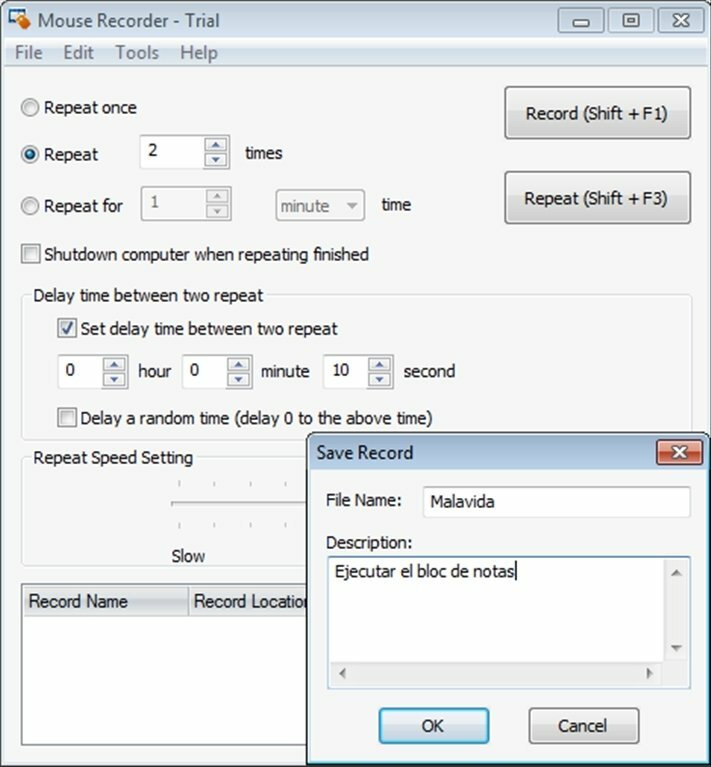 To stop the recording it will only be necessary to press Shift + F2. 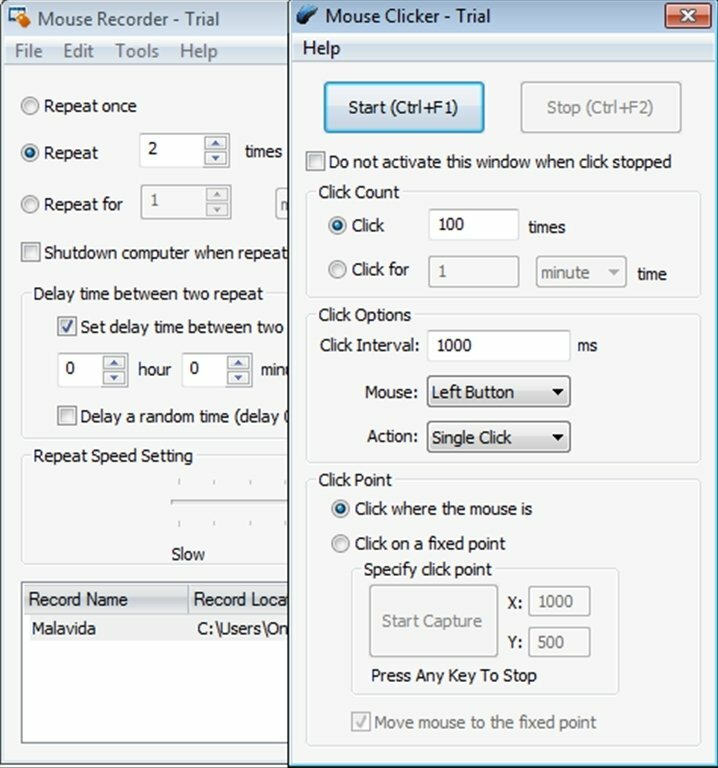 When you want the action to be repeated all you have to do is press Shift + F3 and the mouse will move on its own to repeat the recorded action. 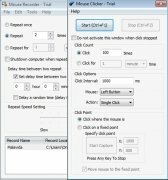 Download Mouse Recorder and speed up your work with the mouse by recording recurring actions. The trial version only allows you to repeat each action a maximum of 5 times.